We have new gift cards! Please come in to switch out your old card. We can only guarantee our old gift cards for 6 months. October is Breast Cancer Awareness Month! 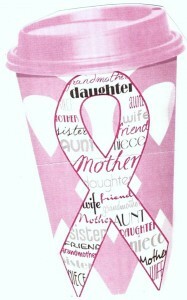 Come into Scenic Brew and get your pink cup to show your support!! Every Monday show us your pink and get ONE extra stamp! We have changed our registers in order to be compliant with the new EMV chip credit cards. Thank you for your patience as we learn the new systems.